Spineology has reported significant interim 12-month outcomes data from its US clinical trial of interbody fusion for the treatment of degenerative disc disease (DDD). 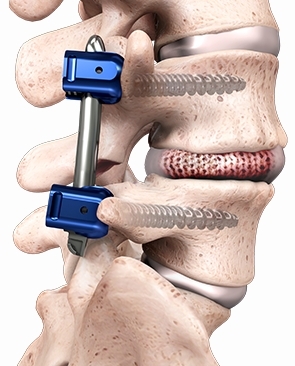 The Spineology clinical outcomes trial (SCOUT), which was carried out under an FDA-approved IDE protocol, is a multicenter and non-randomized performance goal investigation study designed to assess safety and effectiveness outcomes in instrumented lumbar interbody fusion procedures to treat DDD. Spineology’s porous graft containment OptiMesh is the fusion implant used in the trial. It is deployed within the disc space as it is filled, allowing the packed bone graft to adjust as per the prepared vertebral body endplates. The system’s design enables disc space preparation and implant placement via a small cannula. In 2003, OptiMesh deployable implant secured 510(k) clearance from FDA for graft containment within the vertebral body. In the trial, Spineology recruited 102 patients with degenerative disc disease of at least six months duration. The firm conducted the study at ten sites under the guidance of Harvard Medical School neurosurgery associate professor Dr John Chi and his team. Dr. Chi, along with his co-authors, reported on 84 treated subjects, with 60 completing 6-month follow-up and 29 completing 12-month follow-up. The firm completed patient-recruitment in January this year. According to the company, statistically significant improvements have been observed at both six months and twelve months in scores for low back pain and functional limitations, as recorded by Visual Analog Scale (VAS) and Oswestry Disability Index (ODI) respectively. The data from the trial will be used for a regulatory submission to FDA for expanded indications, helping the firm to market the implant for use with bone graft and supplemental posterior fixation in support of lumbar interbody fusion to treat DDD. Dr. Chi said: “These favorable interim results indicate the Spineology system’s potential to provide good arthrodesis and pain relief while minimizing tissue trauma. Image: Spineology has reported results from SCOUT clinical trial. Photo: courtesy of Business Wire.